Today, I am pleased to talk about the history of gardens, as well as how they’ve evolved over the centuries. 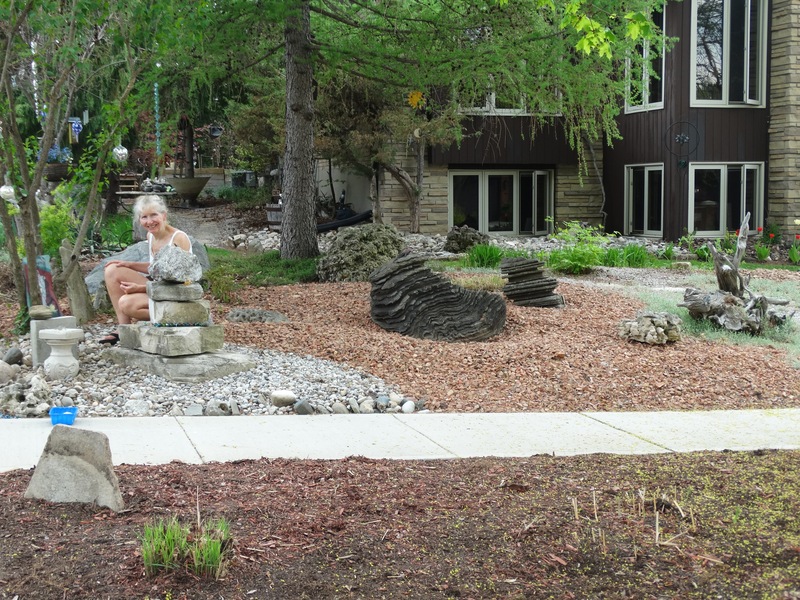 Here is a picture I took of my wife in our own garden, in Canada. 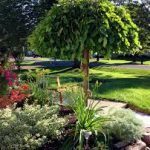 Gardens, in the way we understand them today, which is to say as either food sources or ways to beautify and/or protect our property, do historically date back quite a long time. One way to define gardens is as the cordoning off of outdoor space, which began in prehistoric times – historians estimate this was in about 10 000 B.C. – along the overgrown river banks and the wet foothills of monsoon regions in India and Asia. Places that received lots of rain and changes in wind were typically the perfect location for a “forest garden”. The original forest garden was plant based, pro-food, and very private. 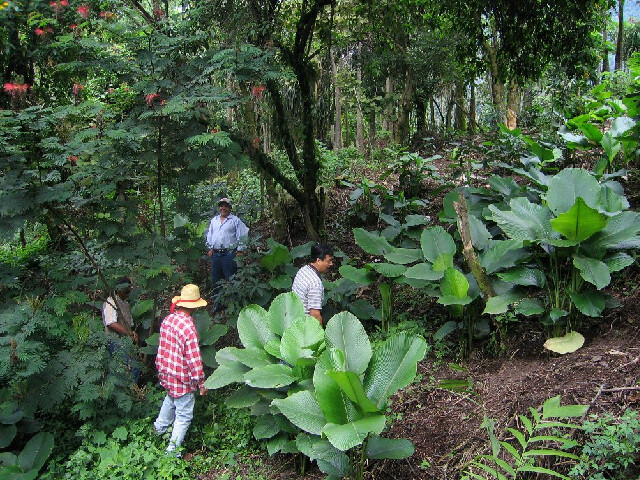 They were designated with as “agroforests”, and the term is still used today. When gardening was first used in those ancient times, families primarily wanted to improve their personal environment, firstly, in a practical way, by growing food close to where they lived, and also to protect themselves from wild animals and sometimes people. Food, as it always will be, was then, as now, always on the minds of our ancient forebears, and so the primary function of gardens was just that – grow food, and lots of it. Pre-historic people eliminated everything that didn’t produce food (ie. weeds). Staying alive was a peoples’ number one goal, moreso at this time, when everywhere was essentially “wild” and there was less protection offered in every way you can imagine. 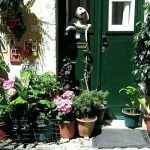 So, gardens were quickly becoming a big deal to our ancient ancestors, just as much as the strength of your home itself or whatever dwelling you lived in was at the time. Eventually, these gardeners of yore incorporated new (to them) species of fruits and vegetables into their gardens, adding a variety new species to their garden, and then, to their table. Garden construction and design was the beginning of what is known as “landscape architecture”. It began in West Asia and spread westward into what is Europe today. By the way, the word, “garden” comes from the Old English word, “geard”, which means “enclosure”. In 27 BC, a Roman author and engineer by the name of Vitruvius, wrote a book called, “Ten Books on Architecture”. He talked about design, landscape, engineering the environment, water, and the importance of public gardens. He introduced ideas such as beauty, convenience, and utility. With the emergence of the first civilizations, wealthy influential leaders in societies began to create gardens purely for aesthetic purposes. Evidence of this can be found in Egyptian tombs, where paintings from the 16th century BC, presented ornamental horticulture. Lotus ponds surrounded symmetrical rows of acacia and palm trees. More evidence of people thinking that gardens should be beautiful came from Persia with “Darius the Great”. It was said that he had a “paradise garden”. This type of garden comes from the old Iranian culture where land was enclosed inside a wall for many reasons. The paradise garden has an enclosure wall of some sort around cultivated land. The land could be wild. It could be well tended and fussed over. It could also be a watery greenery. But it was all done for a purpose and thought about by its owner for a long time. The idea of the paradise garden wasn’t just to go food. This garden concept had a much more philosophical purpose. An axis of symmetry was very important to a Persian/Middle Eastern garden. The Persian garden ideas eventually spread to Greece after Alexander the Great. In 350 BC, gardens such as these appeared at the great schools in Athens. Scholars wrote about a new topic: botany. Gardens became a refuge for the well educated. Places where “higher” learning and reflection took place. 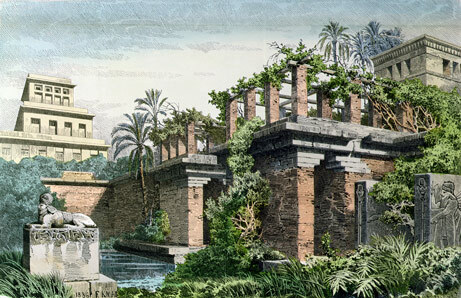 The most influential ancient gardens in this part of the world, were Ptolemy’s gardens in Alexandria Egypt. Lucullus visited Ptolemy’s gardens and took the garden ideas back to Rome. Evidence of this can be seen in Pompeii by studying the wall paintings there. Gardens were becoming very elaborate, and a status symbol. Rich Romans built extensive villa gardens with water features such as fountains, rivulets, topiary, roses and shaded arcades. This paradigm shift in gardening spread quickly to China and Japan, where aristocratic gardens featuring miniaturized and simulated natural landscapes. Water and rocks became very important to the design of gardens at this time. Natural elements symbolized power and religious thought. Zen gardens appeared, and emphasized the concept of using a garden for reflection and increasing one’s own wisdom. By the 13th century, many people in Europe began to understand the importance of the garden, and, soon enough, everyone wanted their own little piece of paradise. 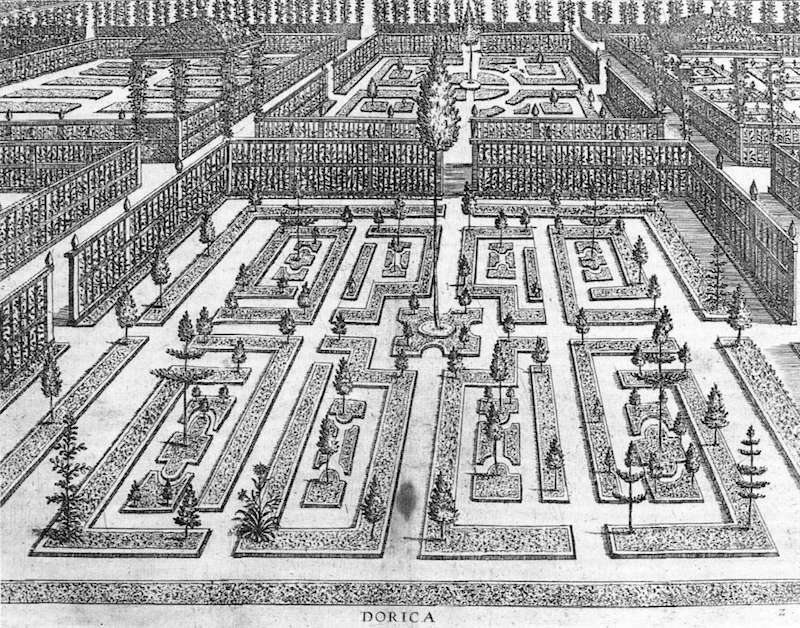 Every significant Roman or Parisian villa had to have a garden. The formal “garden a la francaise” can be witnessed in the Gardens of Versailles in France. The English loved the idea of a “wild garden” with lots of perennials. The Italian Renaissance garden appeared in the 15th century. The Spanish Royal Family introduced public parks. All these new garden ideas were spreading to America and the New World. The concept of “modernism” in the art world influenced gardens of the 20th century. Clarity, bold colours, form, design, were concepts now filtering into gardens in America. Gardens today are about many things and the topic of gardening has become very complex. Primarily, gardens are for growing food such as the concept of a “community garden”, or gardens are an extension of the owner’s personality and creativity. During World War I at the turn of the 1900’s, food production was at a low in both the United States and Europe. Food prices in America soared and meatless and wheatless days were introduced to cut consumption. 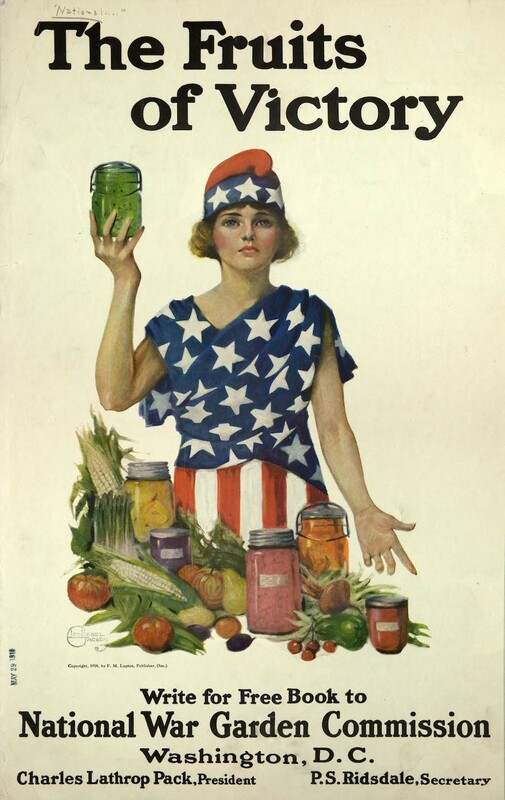 More food was needed so, the National War Garden Commission was formed and Americans were encouraged to grow food. This was a way the people back home could contribute to the victory of the war …. thus victory gardens emerged. This victory garden phenomenon returned during World War II as well under the National Victory Garden Program. 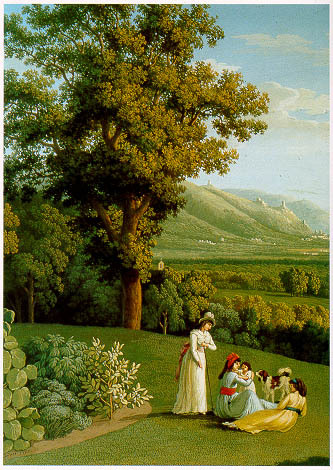 Gardening became part of the popular culture. Not only the poor made gardens but all across the social strata, gardens could be found, and in every conceivable location too. Gardening waned for a while in popularity, but as society became for educated about the world around them, gardening became popular once again for both health and environmental reasons, and interest has only increased, I believe. People began to create gardens of all sizes and shapes, and for any number of reasons, wherever they liked. Gardening became complicated and some laws were challenged. It became a question of “rights”. The industrial revolution brought more than half of the world’s population into cities. People always had to deal with floods, storms, drought, air pollution and natural disasters, but now, with populations growing larger and faster, and congregating in close quarters, the world’s environments would be challenged even more. City officials were given the challenge to reduce human’s negative impact on the world around them. 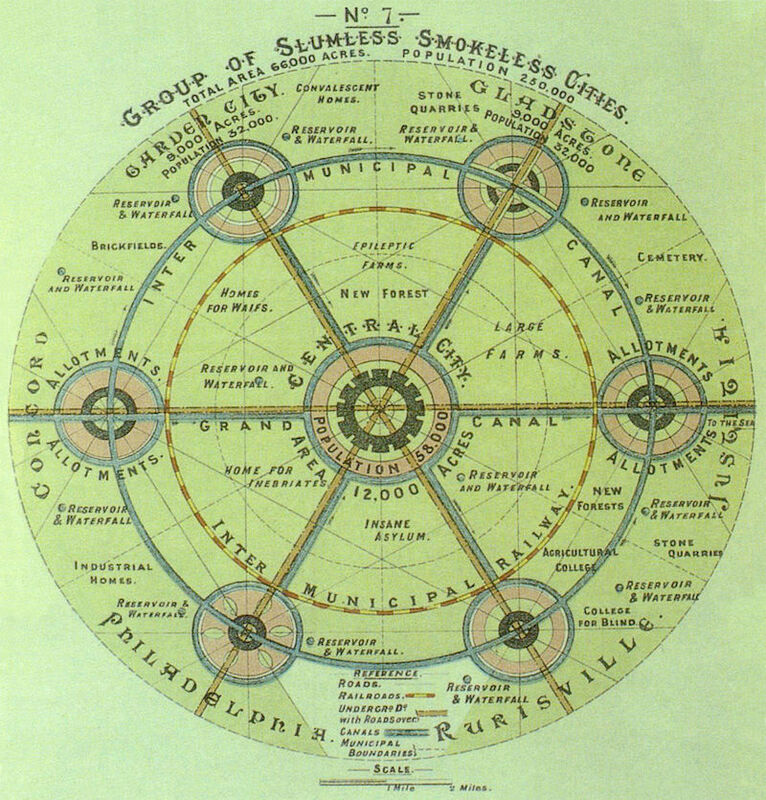 As a result, the “garden city” concept game into fashion at the turn of the 20th century. Large cities like London, Paris, Rome, and New York, were dirty and polluted because of industry, inadequate housing, and the lack of healthy open spaces. It happened in Asian megacities and now it is beginning to happen in Europe and the Americas. A British urban planner by the name of Ebenezer Howard had a vision to design and plan cities that offered a peaceable, livable environment, replete with nature and open space. He encouraged wide boulevards and sprawling suburbs. For him, it was time for the countryside to invade the cities rather than the city to spread into the countryside. 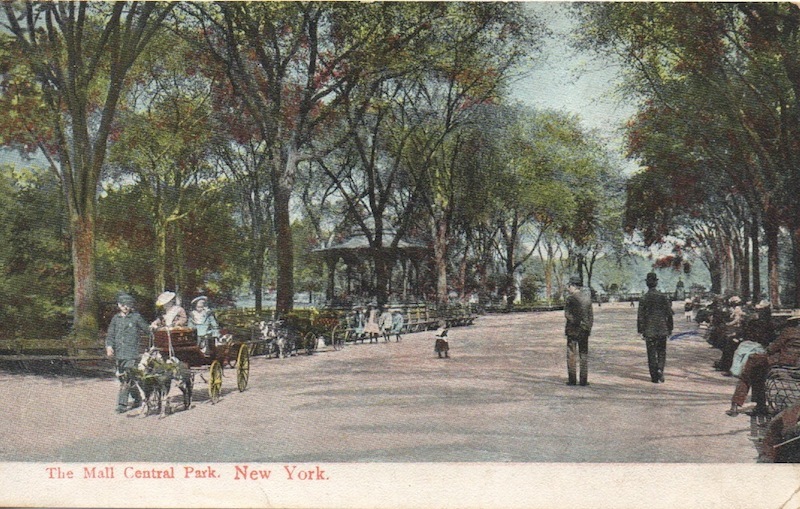 The Father of Landscape Architecture, Frederick Law Olmsted created famous gardens such as New York’s Central Park. Little did he know that the automobile would drive right over his vision in the years ahead. Today, in the 21st Century, the Industrial Revolution has been replaced with the Information Age. Gardens of all kinds are everywhere. Cities are growing with some having a population of over 25 million residents, such as Cairo and Mexico City. The world’s population is at 7.6 billion. People are starving everywhere. People are killing people everywhere. More than ever before, we need gardens that grow food. More than ever before, we need “green space” with vegetations to fight the World’s carbon dioxide problem. Education is a powerful solution to today’s problems, and gardens might just be the answer. People are becoming more educated and computers (the World Wide Web) in particular, are allowing people to have more free time. As a result, the world’s population has more leisure time. Why not get into local green spaces and gardens? 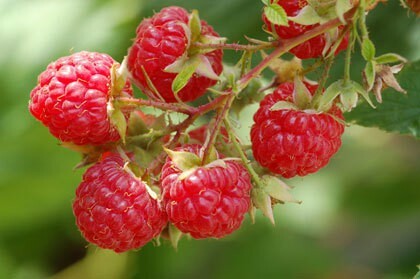 Why not produce more gardens of every kind and visit the ones that are already made. #1 – The Metis Garden (Jardins de Metis) … This must-see Canadian treasure is located on the south shore of the St. Lawrence River in Quebec Canada. This national historic site, was created by a passionate gardener and plant lover, Elsie Reford, between 1926 and 1958. It is an English style garden. 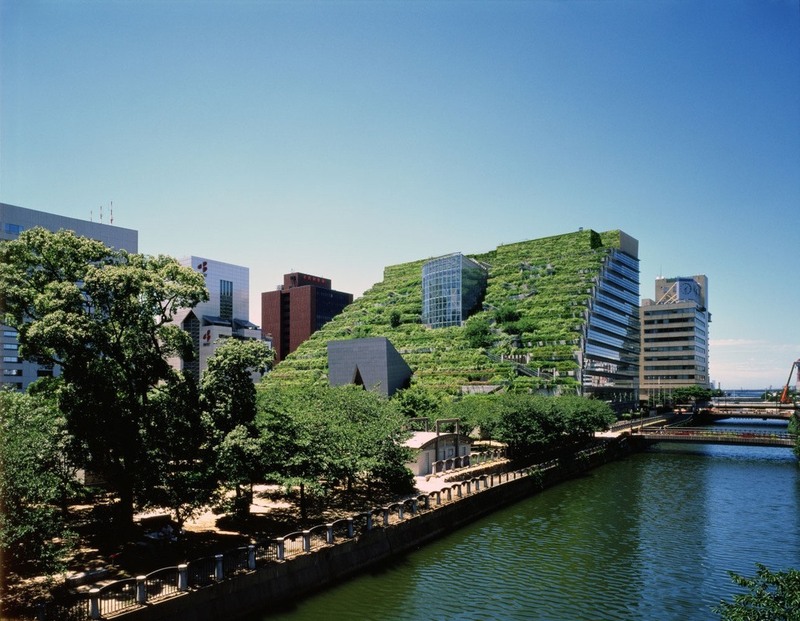 In recent years, they added some very creative interactive gardens by world renowned landscape architects. #2 – Monet’s Garden in Giverny France … Claude Monet only lived for 43 years. He was born in 1883 and died in 1926 at his home in Giverny France. He had a passion for gardens as well as colours. His flower and water gardens are famous works of art still today. His gardens will engage, enable, and empower you to be positive and do more to help the state of the world. In closing, hopefully you know a little more about where the idea of a garden came from, and maybe you agree that gardens are part of the future of our planet Earth. A new generation of gardeners is before us, so let’s connect. New garden ideas are just a click or a search away. Garden ideas are endless and free if you just look in the right places.